Feels like just a minute passed and we're already at the brink of another new year. We won't complain too much, with an all-new range of Vespa scooters being announced for 2018 we're back with a smile on our faces. Vespa didn't hold back this year either; offering us a range of new arrivals across a selection of engine sizes and classes fit for any rider. For us, the Elettrica has really taken a spot in our hearts this year, with their dedication to moving forward while remaining true to their hearts with vintage style through and through, though you can't go wrong with the new Primavera 125, right? There's probably more on the way too, so if nothing has taken your interest, why not stay up to date via our email newsletter? We'll reach you with new offers and releases. 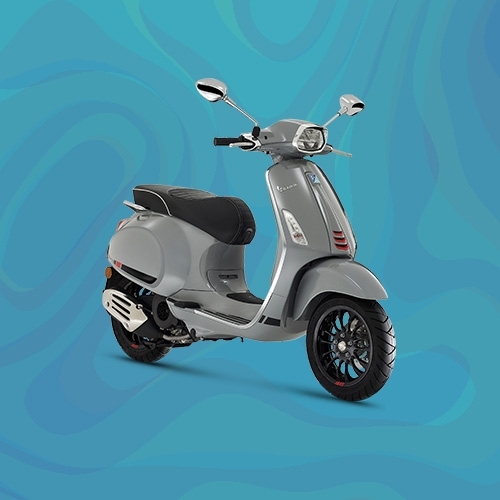 We're taking deposits on all new Vespa scooters right now so you can secure your new ride for the new year, why not get in touch with our team and reserve your next scooter? It's easy and we're always here to help.